Review: It would be fair to say that great Italo-disco albums are few and far between. 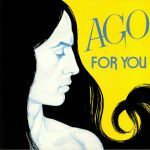 Ago's 1982 debut album, "For You", is undoubtedly one of the rare examples of an Italo-disco artist getting it right across an entire LP. 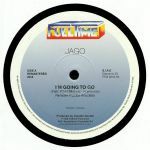 As this timely reissue proves, the artist (and his production team) was more heavily influenced by U.S disco, boogie and early electrofunk than many of his synth-pop and new wave-loving peers, giving the set an authenticity and warm instrumental feel often lacking in similar Italian exercises. You may find the accented vocals a touch tongue-in-cheek, but the choruses are great, the instrumentation brilliant and the production spot on. 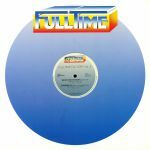 Gespielt von: Fabietto Delgado (Melgado), I Love Disco! 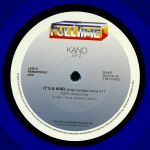 Review: It's fair to say that Maurice's McGee's "Do I Do" is something of an Italo-disco classic. 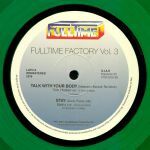 It was initially released back in 1983 on Full Time Records, and featured the man himself - seemingly an invented alias for a local Genova singer recruited by the prolific Studio G production team - telling a tale of missed parties and late night opportunities over a backing track that sits somewhere between the all-arpeggio grooves of Italian disco and the slick, synth-heavy warmth of '83 New York boogie. On this timely reissue, the extended vocal version (remastered to sound extra loud) is accompanied by the arguably superior Instrumental take, which wisely highlights clipped disco guitars and the superb, synth-heavy groove.